Laurie Black is currently the Director of the Early Childhood Alliance (ECA) Onondaga. The ECA is a cross-sector collaborative launched in 2015 as a result of the 2013 Onondaga Citizens League study “Early Childhood and School Readiness: Creating a Community Where All Children Thrive by Five.” Prior to the ECA, Laurie worked for thirteen years for SYRACUSE 20/20, an organization that allowed her to gain invaluable experience working on community projects like the Westside Community School Strategy, CONSENSUS-the Commission on Local Government and Book Buddies-a program providing reading support to children in first and second grade at Seymour Academy. Laurie has served on several community boards and is grateful for the opportunity to work with so many people who are passionate about making Central New York a better place to live for everyone. DebbieStack is Director of Education and Community Engagement at WCNY Public Media.She is an author and editor and previously worked for Sensis and the Erie Canal Museum. She serves on the boards of the Onondaga County Public Library and the Friends of the Witter Agricultural Museum and a past member of the board of Liberty Resources. Paul Mahalick is a Certified Public Accountant with Daley, Lacombe & Charette P.C. CPA. While specializing in individual and small business taxation, Paul also concentrates in the areas of accounting and taxation of equestrian farms and athletes. 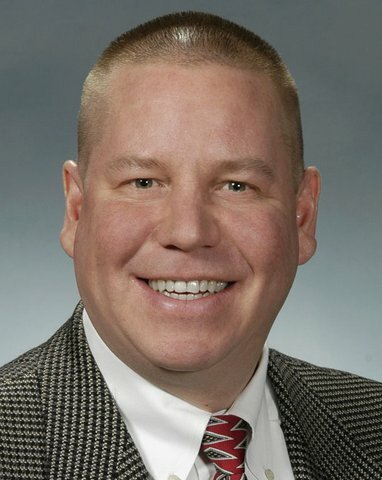 Paul is a member of the Board of Directors of the Syracuse Invitational Sporthorse Tournament and is an adjunct professor of accounting and taxation at SUNY Oswego. William Pollard is the former dean of the Syracuse University School of Social Work and founding dean of what is now the Falk College. He previously served on the United Way Board of Directors; and co-chaired the Syracuse Dialogue on Race and Racism. 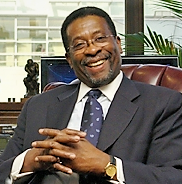 Since leaving Syracuse in 2002, Pollard served as president of the University of the District of Columbia and president of Medgar Evers College-City University of New York. During his stay in Brooklyn, Pollard also served on the Boards of the Brooklyn Academy of Music and the Prospect Park Alliance. In Washington DC, Pollard served on the advisory boards of the Federal City Council and the DC Board of Trade. Michael Feng is the VP of System Integration at Progressive Expert Consulting, Inc. He is active in the community as a supporter of CenterState CEO in areas relating to emerging technologies and legislative affairs. He participates as a contributing member of the city’s Living Wage Committee as a Mayor’s appointee and works closely with County Executive Mahoney’s office. Craig French is the former pastor, now retired, of University United Methodist Church. He continues to be active in the community in a variety of positions. He chairs the board of Visions for Change and is a board member of both ACTS and Housing Visions Unlimited. Thomas Carlin is President of Technical Workplace Consulting, an IT infrastructure support company. Previously he spent 20 years at Penn Traffic as loss prevention auditor. He was past president of the P&C federal credit union and was a member of the Sullivan Township Democratic Committee. He is currently vice president of the Minoa Library board. Virginia Carmody is a long-time resident of Onondaga County. She is the Executive Director of the Literacy Coalition of Onondaga County. She previously worked for the federal government, and served as District Director for Congressman James T. Walsh. Meghan Price McLees Craner Esq. Meghan Price McLees Craner, Esq. is an assistant Corporation Counsel with the City of Syracuse Law department. Meghan is counsel to the Division of Code Enforcement, Office of Zoning Administration, Board of Zoning Appeals, and the City Planning Commission. She is also adjunct faculty in the Fire Prevention Technology program at Onondaga Community College. Patti Giancola is a native of central New York and has over 25 years of leadership experience in the non-profit fund development arena having worked for the American Red Cross, Syracuse University, The Y of Greater Syracuse, and the McMahon/Ryan Child Advocacy Center. Patti is active in the Central New York community and most notably is a graduate of Leadership Greater Syracuse, a member of Thursday Morning Roundtable and has served on the boards of the Volunteer Center, Delta Gamma Alumnae Association, Junior League of Syracuse and the Association of Fundraising Professionals. Travis Glazier is the Director of the Office of the Environment for Onondaga County. Prior to his current role, he was the County Director of Intergovernmental Relations working with local municipalities, as well as state and federal governments on behalf of the county. He is a resident of the town of Clay, a recent Maxwell Executive MPA graduate and served as a staff member for the Consensus Commission. Christopher Gorman is a Manager in the Upstate New York Jurisdiction group at National Grid where he serves as the liaison for institutional customers in CNY and the Mohawk Valley. He is also involved in community engagements and emergency response in Central New York. Michael La Flair serves as the Executive Director of the Northeast Hawley Development Association (NEHDA, Inc.). He is a member of the Board of Director’s for FOCUS Greater Syracuse and recently was elected to the Board of Trustees for the Erie Canal Museum. Melissa Menon is the Talent/Community Engagement Manager at DARCO Mfg., Inc. . Her work includes fostering relationships between DARCO, business partners, public organizations, and educational programs to inspire curiosity and interest in manufacturing. She has served on several local nonprofit boards and advisory councils. She currently serves on the board of directors of the Onondaga Citizens League, and the Syracuse/Onondaga County Youth Bureau. She is an advisor to the College of Arts and Sciences at Le Moyne College, and the On Point for Jobs program. Mel is a member of the Leadership Greater Syracuse class of 2016, and was a 40 Under Forty award recipient in 2014. Doreen Milcarek is the Administrator at the Onondaga County Public Library’s, Central Library and has worked in the OCPL system since 1979. During her tenure she was the manager at several locations, served as the System Services Consultant/Outreach Services Coordinator, coordinated Adult Literacy Programs, assisted with technology planning, and served as the Foundation Grants Collection Supervisor. She is a member of the New York Library Association, American Library Association and Public Library Association. Christopher Miller is the Chief Human Resources Officer for the Syracuse City School District. He is a proud resident of the city and also represents the school district as a board member for the Near Westside Initiative. 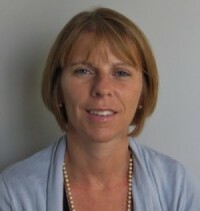 Laura Miller is the General Manager of Darco Manufacturing Inc. which offers CNC machining services to local industry. She actively supports initiatives by On Point for Jobs and CenterState CEO that connect the community with opportunities in manufacturing. She is a current member of the Entrepreneurial Society of CNY and previously served on the foundation board at the MOST. Tina Nabatchi is an Assistant Professor of Public Administration and International Affairs at the Maxwell School of Syracuse University and a Faculty Research Associate at the Program for the Advancement of Research on Conflict and Collaboration. Dr. Nabatchi is also Co-Director of CNYSpeaks which is a joint project of the Maxwell School and The Post-Standard. Christine Capella Peters has been involved in historic preservation for more than 35 years. She retired from the New York State Historic Preservation Office, where she was a technical staff member providing assistance to individuals, organizations and local governments interested in the State and federal preservation programs. She was an urban planner/designer for nearly a decade. As a visiting professor and professional adjunct for over 20 years, she worked with students at a variety of colleges and universities, teaching design studios and serving on thesis committees for urban design, historic preservation and cultural landscape preservation projects. She has a long history of public service in Syracuse, serving on the boards of several organizations, most notably the University Neighborhood Preservation Association, as well as having been appointed to several municipal bodies, including the City Public Art Commission and, currently, the City Planning Commission. Jay Subedi is a case manager at Interfaith Works Center for New Americans. He serves as a Citizens Cabinet member for the city of Syracuse, is president of the Friends of the Butternut Community Police Center, Vice President of the Bhutanese Community of Syracuse, and a member of the Police Chief’s Advisory Committee.